Retro Mummy inspired me to go the rustic look with the baking paper and I love it! 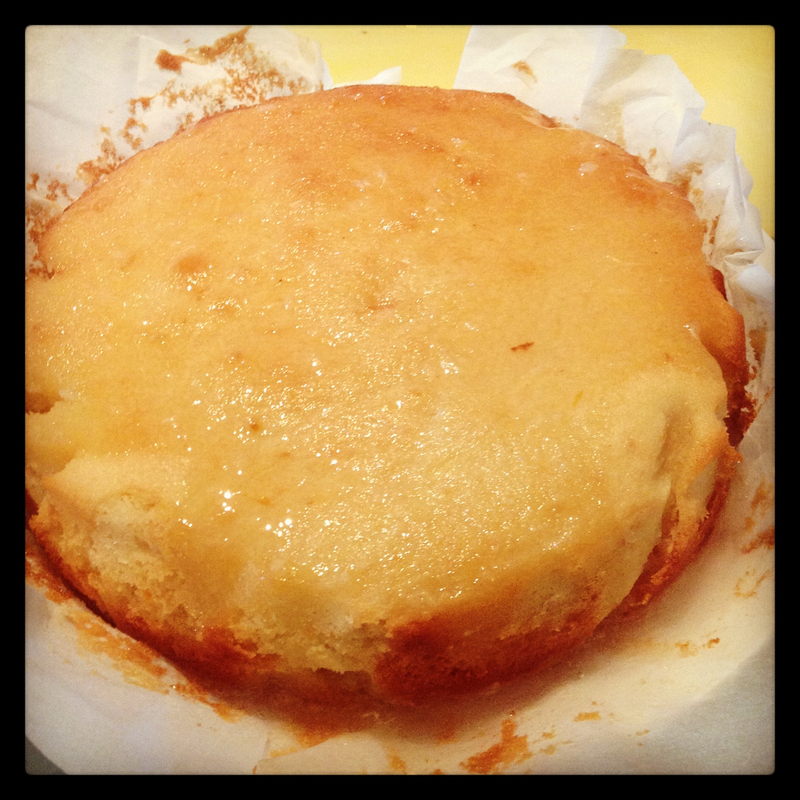 I enjoy reading Retro Mummy’s blog and we have been loving her recent cake recipes. I adapt them to be dairy and egg (and nut when required) free and usually they turn out really well. The best so far has been the Lemon Drizzle Cake. You can see Corrie’s recipe here. I made my cake in my KitchenAid and loved using fresh lemons from our tree, saving them from ending up as balls for my kids to play with in the garden! I have a feeling that this cake would even cope with being gluten free as well – the flavours are so good. 2 eggs equivalent of No Egg, made up with water and mixed well. 3/4-1 cup soy milk (or whatever milk you can have – coconut milk might work really well) I had a juicy lemon so didn’t need as much milk. Cream the butter, lemon rind and sugar until thick and creamy. Add in vanilla and combine. Add in No Egg mixture, milk and juice of 1 lemon and mix until creamy. Add in flour and coconut and mix until well combined and creamy and fluffy. I’m not sure why mine went super fluffy but I did leave it for a little bit to attend to children so I think the No Egg really got working like eggs. Worth being distracted for! Pour into a lined cake tin and bake for about 40 minutes in a 170C/340F oven. While cake is cooking combine the icing sugar and juice of two lemons in a bowl. Leaving it for a while ensures any icing sugar lumps are dealt with by the juice. Drizzle icing over the cake. I drizzled the icing over while the cake was still warm, like Corrie suggested. I think it absorbs it better too. Enjoy while still warm – mmm mmm! 5 thumbs up and lots of ‘more’ signing from Miss Emmalyn!